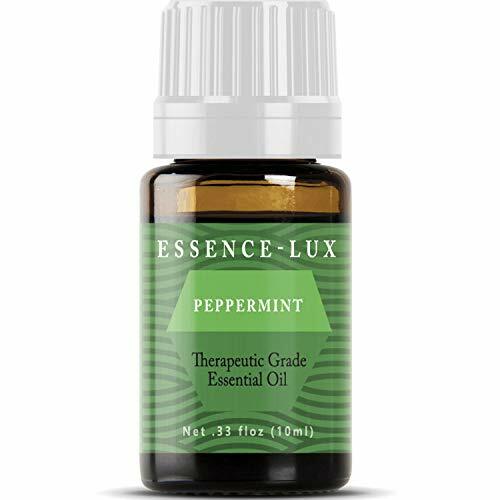 PURE & NATURAL PEPPERMINT ESSENTIAL OIL - Our Peppermint Oil is Therapeutic Grade, Completely Natural, and Undiluted! STORED IN A BEAUTIFUL AMBER GLASS BOTTLE - Our Essential Oils are always Stored in a Dark Storage and Never Exposed to UV Rays. ESSENCE LUX'S SATISFACTION GUARENTEE - If you're not 100% Satisfied With our Essential Oils Simply Contact Us for a Free Replacement or a Full refund!